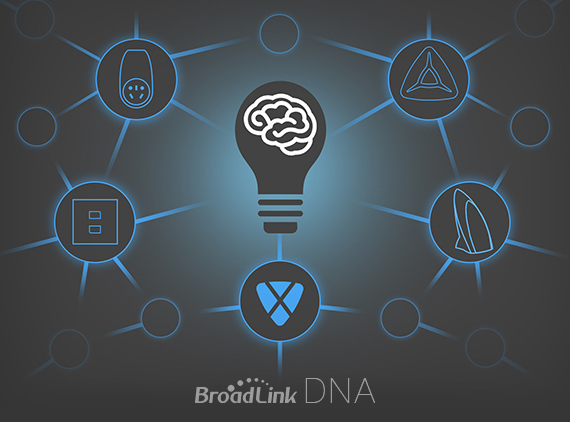 Chinese smart home solution provider BroadLink has launched BroadLink DNA, the brand for the WiFi solution the company has developed for conventional home appliance makers to easily smartize their products. With BroadLink DNA, the only thing a manufacturer needs to do, according to BroadLink, is make sure its products have room for BroadLink WiFi module. BroadLink will do the rest, from developing applications to testing, and provide Cloud services. BroadLink claims it only takes one week to smartize any conventional electronics device with this solution. The smartized devices will then be able to speak to WiFi routers and get connected automatically. Thus users can control them through mobile apps. The usage data will be uploaded onto the Cloud. BroadLink only charges the WiFi module while offers app development, cloud services and so on for free. That it’s able to do so is because it has reached deals with a variety of Chinese tech companies. It has introduced funding from Chinese online retail giant JD.com, who helps with online sales, and Qihoo 360, who has been experimenting with small smart gadgets. Chinese search company Baidu offers free Cloud services. Some forty manufacturers have gotten on board, BroadLink CEO Liu Zongru disclosed, and the company’s goal for this year is one hundred. BroadLink now is one of the few well-established WiFi solution developers in China. Its partners include Xiaomi, the fast growing Chinese smart device maker, Chinese home appliance companies Haier and TCL. BroadLink also produces products powered by the solution in house. Yesterday the company launched E-air, an indoor air quality monitor, as well as updated versions of its existing smart socket and remote controller for infrared devices. The products in development include WiFi stereo box set/ music player, smoke detector and a baby monitor.